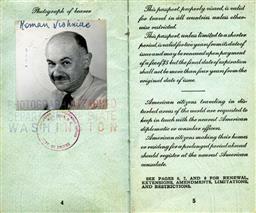 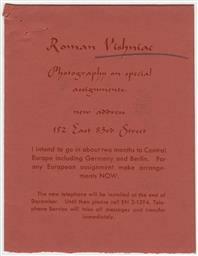 In 1947, Vishniac returned to Europe as an American citizen, hired by the Jewish Joint Distribution Committee (JDC) and United Jewish Appeal (UJA) to document relief efforts in Jewish Displaced Persons camps. 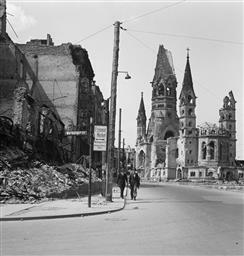 While on assignment, Vishniac visited Berlin, where he created a bleak and poignant record of the destroyed city that had been his home for twenty years. 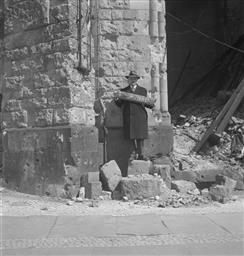 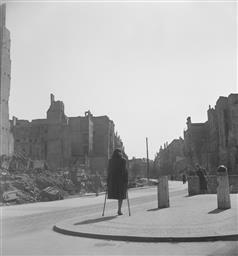 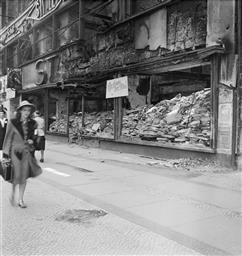 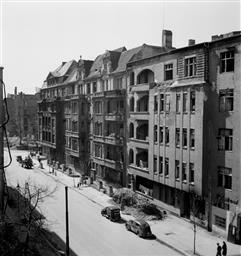 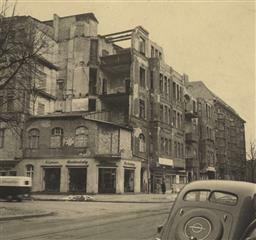 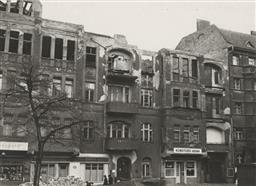 Focusing on West Berlin, he took intimate photographs of his former Wilmersdorf neighborhood, now reduced to ruins. 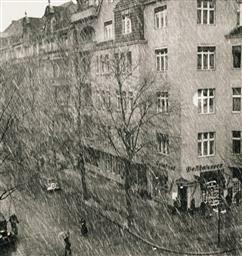 The same locations that had thrummed with life in his street photography from the Weimar era are suffused with a haunting silence in his 1947 photographs. 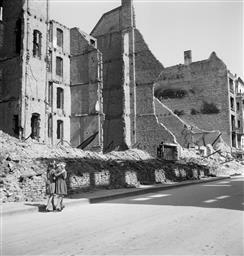 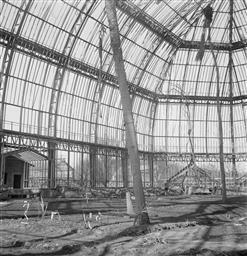 One photograph reveals the crumbling and mangled platform that had once been Vishniac's living room. 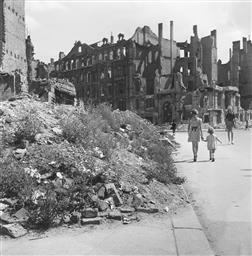 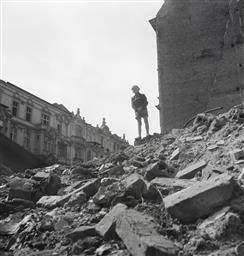 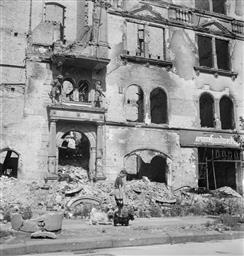 Other images capture the tentative steps of a city emerging from devastation: children walking hand-in-hand and playing amidst the ruins, flowers growing through the rubble, and hairdressers once more advertising their services. 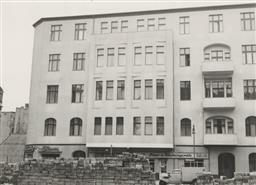 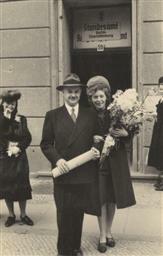 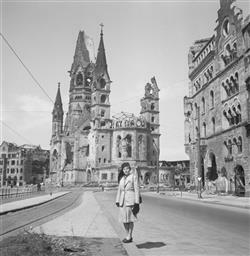 Together, these pictures, which have not been previously printed or exhibited, constitute a unique and highly personal contribution to the documentation of postwar life in Berlin.